As a resident of the Bemiss Neighborhood, you have many opportunities to become involved in neighborhood events and decisions. Each neighborhood is represented by their Neighborhood Council, and each Neighborhood Council falls within one of three Spokane City Council Districts. Want to Make a Life Change? Starting May 23 until July 25. 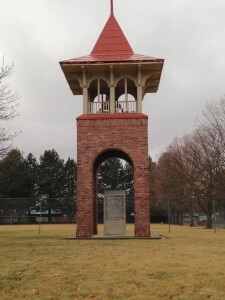 The Walking Groups will meet at the Northeast Community Center at 7:00 PM and walk through the neighborhood. Sheri will have people back within an hour. Sheri will lead walkers in some gentle stretching and provide tips on how to make the most out of walking. The Bemiss Neighborhood is located within City Council District #1 and is represented by Councilmember Mike Fagan and Councilmember Kate Burke. Help Make Music in Bemiss! Be the first on your block to get your Bemiss T-shirt. 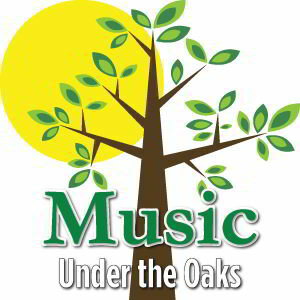 We are offering short sleeve t-shirts – all with the “I Love Bemiss” logo, to raise funds for the summer, Music Under the Oaks concert series. T-Shirts are available at our concerts and meetings! Residents are encouraged to become a member of our neighborhood website to talk to each other, vote on issues, learn about events, things for sale and neighborhood news. If you are a resident please click on the graphic below to join us. 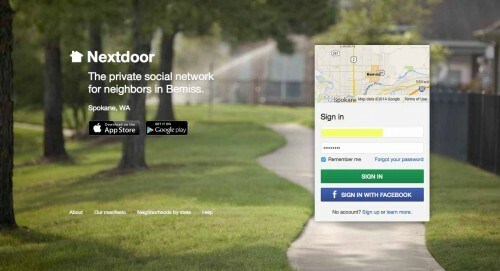 All applications are approved to ensure that only residents are members of the Bemiss Nextdoor website. Any resident of the Bemiss Neighborhood is encouraged to attend and participate in our Bemiss Neighborhood Council. The Bemiss Neighborhood Council is co- chaired by Kathryn Alexander (509) 934-5930 and Donna Fagan (509) 475-2180 and the Community Assembly representative is Kathryn Alexander (509) 934-5930. We meet on the second Thursday of the month. Meeting minutes are on the Documents page. 2. We want a neighborhood that communicates openly, clearly and often. 3. We want a neighborhood that’s FUN to live in. 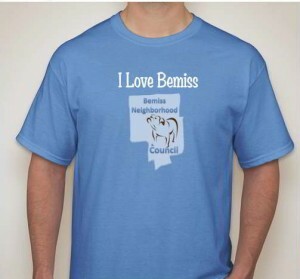 GET INVOLVED IN THE BEMISS NEIGHBORHOOD TODAY!! WE’LL SEE YOU AT OUR NEXT MEETING! !